Happy homes have people in them—imperfect, beautiful, messy, wonderful people. 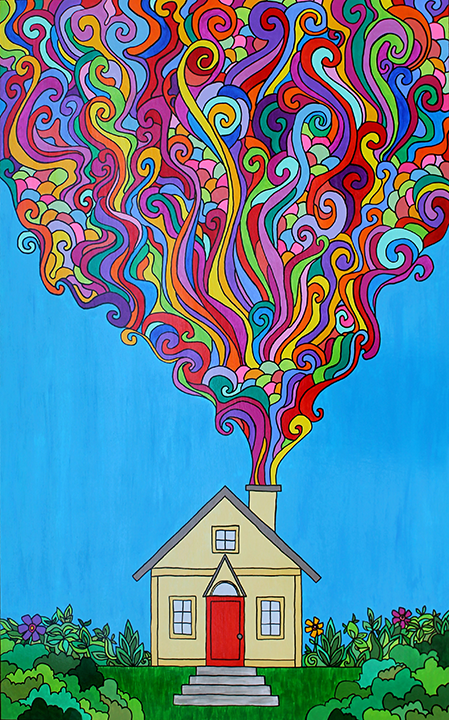 The colors coming from the chimney symbolize love, laughter, creativity, art, music, dance, food, joy, struggles, and even tears of sorrow. They represent our daily lives and who we are. They represent what we have to say—and we all have something to say. So say it in your own unique way. Paint it, dance it, sing it, write it, make it, live it. Make your voice heard. Live out loud. Let your colors show and share them with the world.